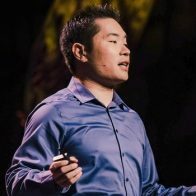 This quote may sound familiar to you if you watched Jia Jiang’s TED Talk that ranked one of the most viewed talks of 2017 about his 100 Days of Rejection. With over 3.5 million views, his idea of exposing yourself to rejection to build immunity became the focus of many thought partners and sales leaders. But for many, the drive stopped there. You watched the talk and felt good about your next rejection, maybe even turned that ‘no’ into a ‘yes,’ but that was as far as your motivation took you. You forgot Jia’s rejection-proof demeanor as soon as a rejection cut you deep enough to break the skin. If this is you, don’t worry. 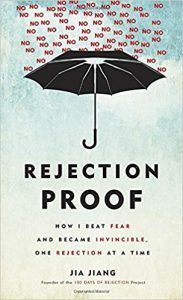 Jia’s bestselling book, Rejection Proof: How I Beat Fear and Became Invincible, One Rejection at a Time, will not only resurrect the momentary confidence his talk inspired in you, but it will also help you hold onto a rejection-proof mindset and guide you through the process of becoming fearless once and for all. Here are some golden takeaways from Jia’s book, served up with hands-on ways to live a rejection-proof life. Rejection Is Human: Rejection is a human interaction with two sides. It often says more about the rejector than the rejectee, and should never be used as the universal truth and sole judgment of merit. Rejection Is an Opinion: Rejection is an opinion of the rejector. It is heavily influenced by historical context, cultural differences, and psychological factors. There is no universal rejection or acceptance. Rejection Has a Number: Every rejection has a number. If the rejectee goes through enough rejections, a no could turn into a yes. Ask “Why” Before Goodbye: Sustain the conversation after the initial rejection. The magic word is “why,” which can often reveal the underlying reason for the rejection and present the rejectee with the opportunity to overcome the issue. Retreat, Don’t Run: By not giving up after the initial rejection, and instead of retreating to a lesser request, one has a much higher chance of landing a yes. Collaborate, Don’t Contend: Never argue with the rejector. Instead, try to collaborate with the person to make the request happen. Be patient and respectful. Give A “Why”: By explaining the reason behind the request, one has a higher chance to be accepted. Start with “I”: Starting the request with the word “I” can give the requester more authentic control of the request. Never pretend to think in the other person’s interests without genuinely knowing them. 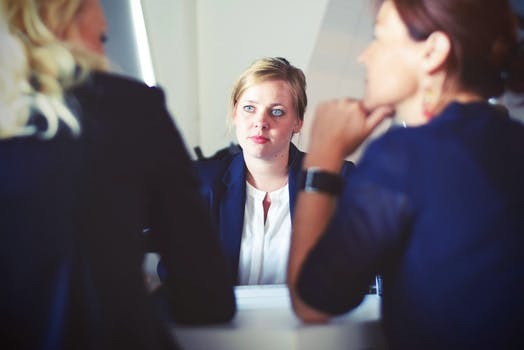 Acknowledge Doubts: By admitting obvious and possible objections to your request before the other person, one can increase the trust level between the two parties. Target the Audience: By choosing a more receptive audience, one can enhance the chance of being accepted. Be Direct: When giving a rejection, present the reason for the rejection. Avoid long, convoluted setups and reasoning. Self-Improvement: One can use rejection as an effective way to improve an idea or product. Worthiness: Sometimes it is good to be rejected, especially if public opinion is heavily influenced by a group and conventional thinking, and if the idea is radically creative. Character Building: By seeking rejection in tough environments, one can build up the mental toughness to take on greater goals. Find Value: Repeated rejections can serve as the measuring stick for one’s resolve and belief. Some of the greatest triumphant stories come only after gut-wrenching rejections. Freedom to Ask: We often deprive ourselves of the freedom to ask for what we want in fear of rejection and judgment. But amazing things often happen only after we take the first step. Freedom to Accept Yourself: Our inner need for approval-seeking forces us to constantly look for acceptance from other people. Yet the people from whom we need acceptance the most is ourselves. Detachment from Results: By focusing on controllable factors such as our efforts and actions, and by detaching ourselves from uncontrollable outcomes such as acceptance and rejection, we can achieve greater success in the long run.